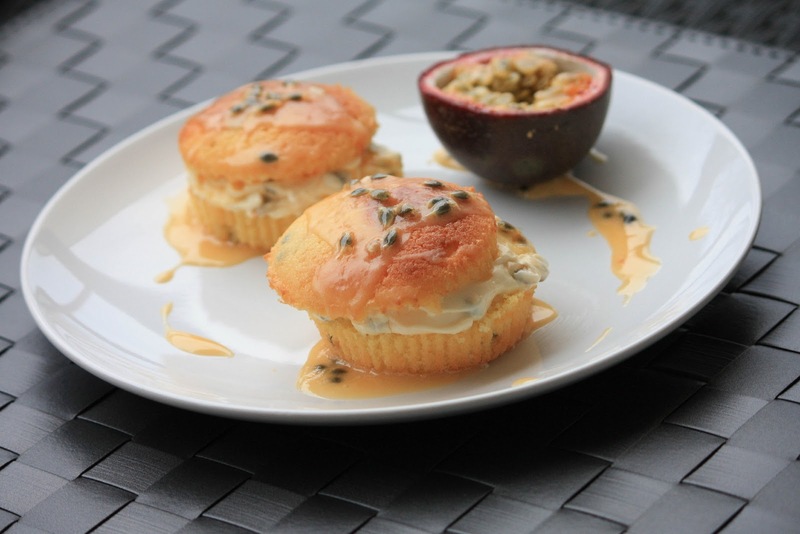 Passion fruit Cupcakes for PassionMeetsCreativity Fans. I know, I promised April would be a savoury month. Don't worry there are three lovely dishes coming ahead but I thought as spring keeps spoiling us so much I should post a cupcake that is on the par with the weather. Don't they look like little sunshines? For me they totally do. The recipe differs a little bit from the previous recipes because with every bite you have the feeling that summer comes closer. 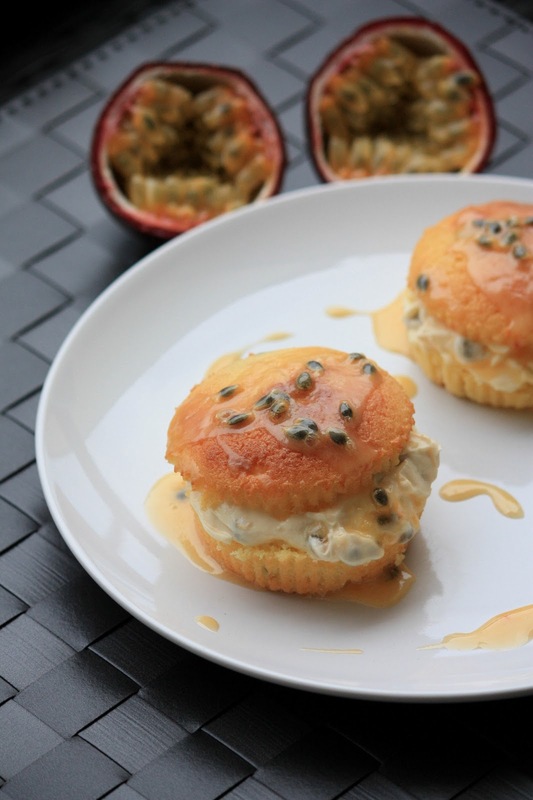 I love passion fruit this is the reason why I had to shoot the pictures quite quickly. Otherwise there wouldn't have been any leftovers for the blog. I brought some of the cupcakes to work and the feedback was very good. There is a lot of food sharing going on in the office but this was, at least so far, the lightest dessert anyone brought. People felt less guitly I guess, especially after the Oreo cupcakes. 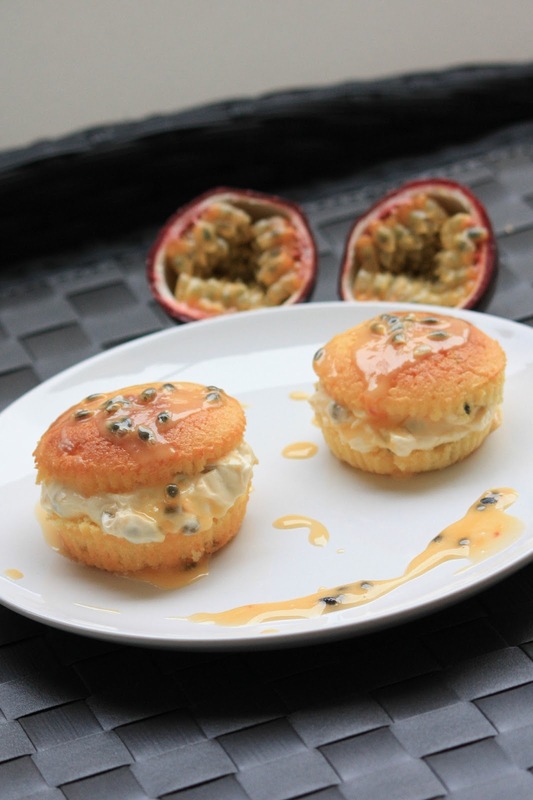 So if you are looking for a lighter dessert or teatime treat you should not miss the passion fruit cupcakes. I decided to change the original recipe a little bit, which was only a vanilla cupcake with the passion fruit topping. I found that there has to be a little more passion in these little cupcakes. That's why I decided to put another passion fruit into the dough. Of course this changes the consistency of the cake, but the taste is really perfect. In a large bowl whisk together the butter, sugar, eggs, flour, baking powder and vanilla extract with the hand mixer or around 1 minute. 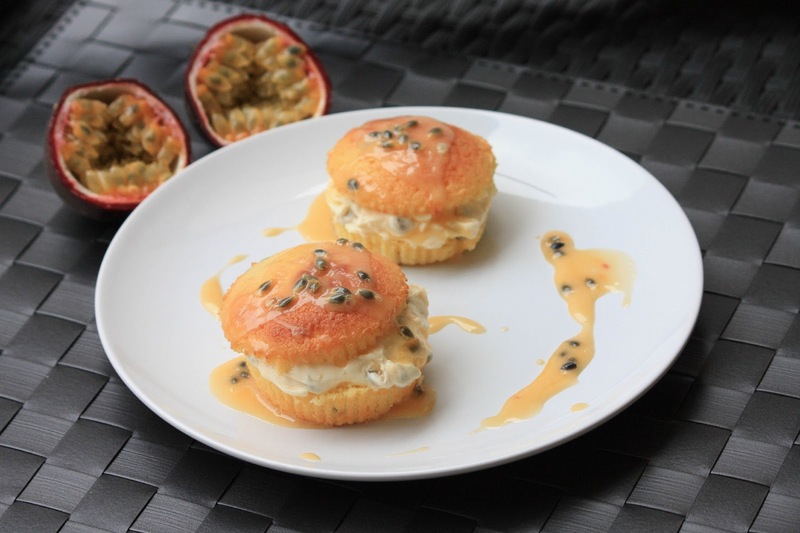 When obtained an even dough add the pulp of one passion fruit. Mix again. The dough will slightly change its texture, but this is normal. Put the cupcake cases into your cupcake mold and pour the dough up to 2/3 into the cupcake forms and bake for 25 minutes. While the cupcakes are cooling down you can prepare the cream. Cut 2 more passion fruits in two and put their pulp in a bowl. Mix the pulp with the liquid cream and 1 Tbsp of icing sugar. Take the cupcakes out of the cases and cut them in two. Spread the cream on the bottom half and top with the other half. 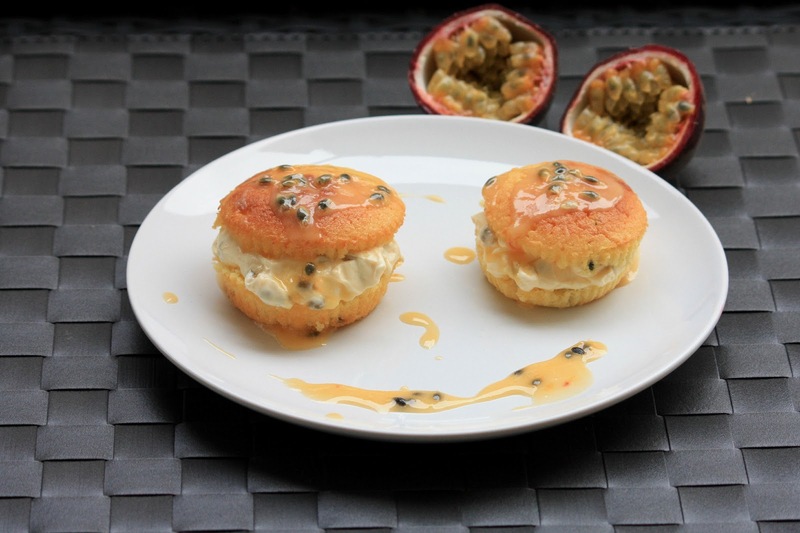 Last but not least, take the pulp of the two remaining passionfruits and add the icing sugar. Mix until you get an even mixture. Coat the cupcakes with the icing.